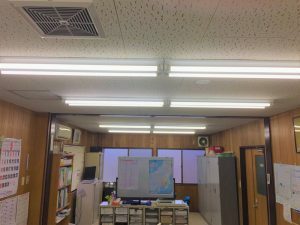 Environmental activities / educational support | NOMA ELECTRONICS CO., LTD.
We engage in business activities with the motto "Service and Hospitality" based on our customers' perspective. 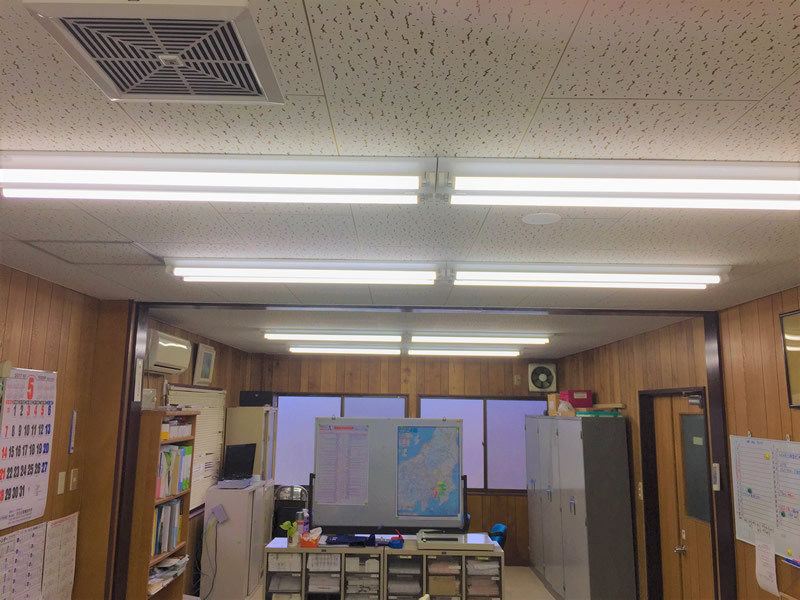 On April 25, 2017, we replaced the lighting of Hitachi Sales Office for LED lighting. 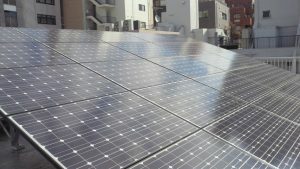 On February 17, 2015 Noma Electronics Co., Ltd. (headquarters) installed a photovoltaic power generation system to promote the use of renewable energy and measures to prevent global warming. 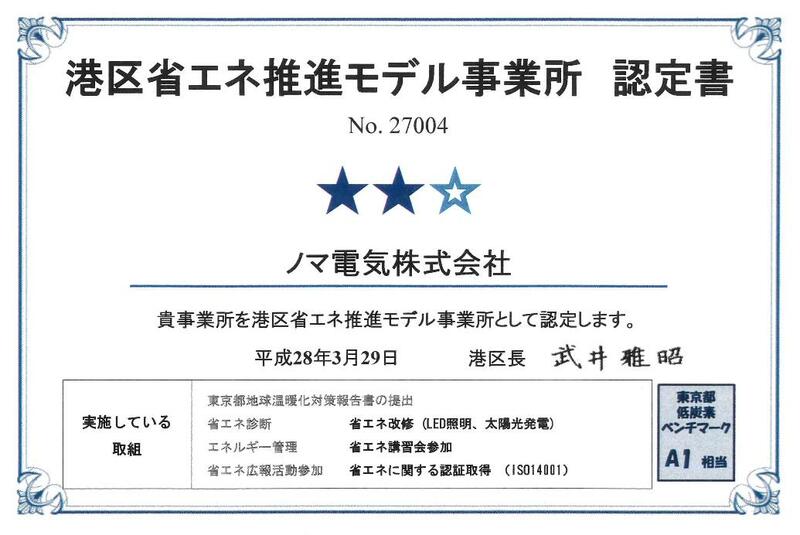 We continue to work on earth-friendly corporate activities. We recognize it as a members of the human race and are striving to maintain this great Earth. Noma Electronics is a sales trading company of electronics components and related products (electronic parts, semiconductors, power supply equipment etc.). We engage in business activities with the motto “Service and Hospitality” based on the country, community, and customers’ perspective. Noma Electronics strives to preserve the global environment through business activities as a trading company, positioning environmental issues as one of the important management issues. 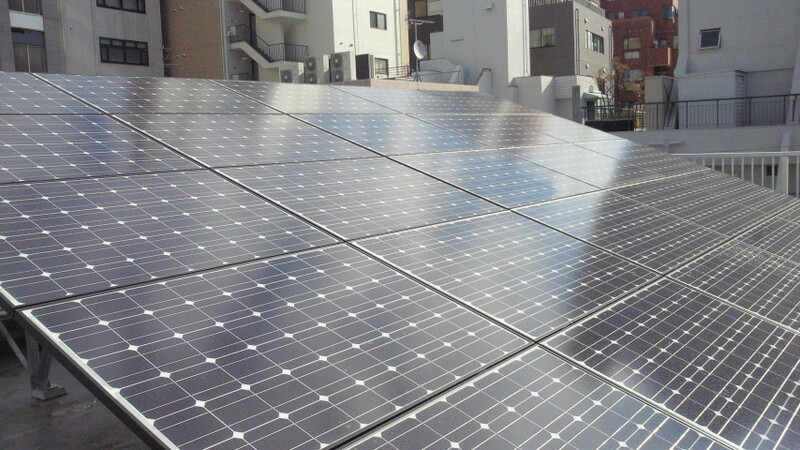 We comply with environmental laws and regulations and other requirements with which we agree. We aim to reduce any environmental impact in all aspects of our business activities, such as resource saving, energy conservation, and waste reduction. We regularly review environmental conservation goals and promote thecontinuous reduction of environmental impact and environmental protection. We make use of the spirit of “Service and Hospitality” which is the motto of our company’s business activities in the environmental management system and endeavor to enhance and continually improve. We thoroughly inform every employe of our environmental policies. We also publish the information on our website. This environmental policy meets social trends and the needs and expectations of stakeholders. We make well known to all employees and all of our colleagues and business partners, and we request related business partners for understanding and cooperation. We started to operate an environmental management system in February 2006. 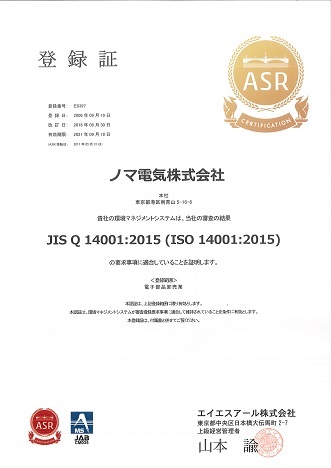 Acquired ISO-14001 certification at all sales offices in September 2006. 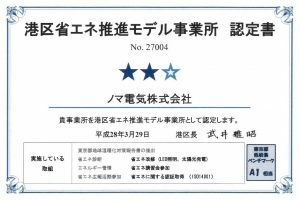 We were approved as Minato-ku energy conservation promoton model office on March 29th 2016. 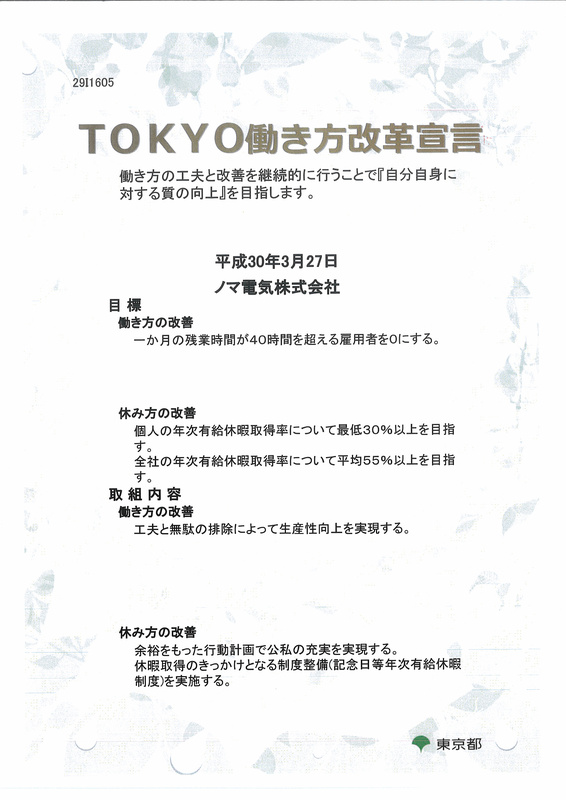 We have been registered as 「TOKYO Work style Reform Declaration Company」 Promoted by Tokyo Metropolitan Government. We will continue to aim for companies that can contribute to society in the future. We are actively promoting acceptance of interns to support and nurture future generations.